Planning a wedding? Don't let it overwhelm you! The Wedding Showcase is a great place for busy brides and grooms to find out how to make your special day one to remember. In the historic setting of the Pre-Emption House and Century Memorial Chapel, brides and grooms have one-on-one personal consultations with the best in the bridal business including photographers, florists, DJs, ministers, musicians, bakers, caterers and more. See how Century Memorial Chapel can be the perfect, romantic setting for your wedding. 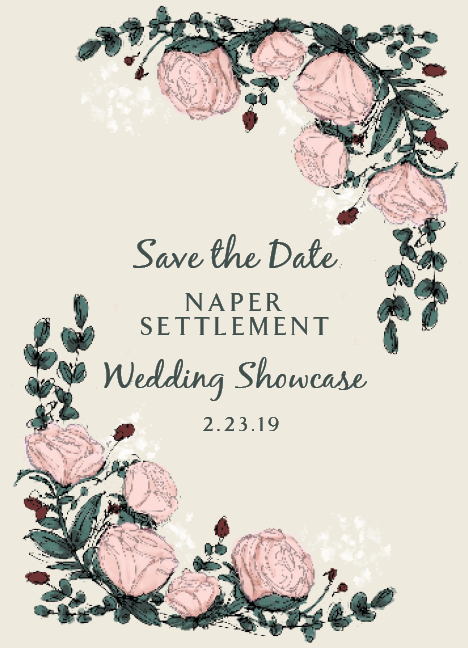 There are rooms at Naper Settlement available for rehearsal dinners, bridal showers or even your reception. Call 630.420.6010 to book your wedding at the Chapel or for information about parties and receptions. Located in downtown Naperville just 28 miles west of Chicago, Illinois. Stay tuned for details on next year's showcase!